Ya´an Tea Factory, the most famous and oldest tea factory in Tibetan tea industry, has been provided tea bricks for Tibetan market for over 460 years. 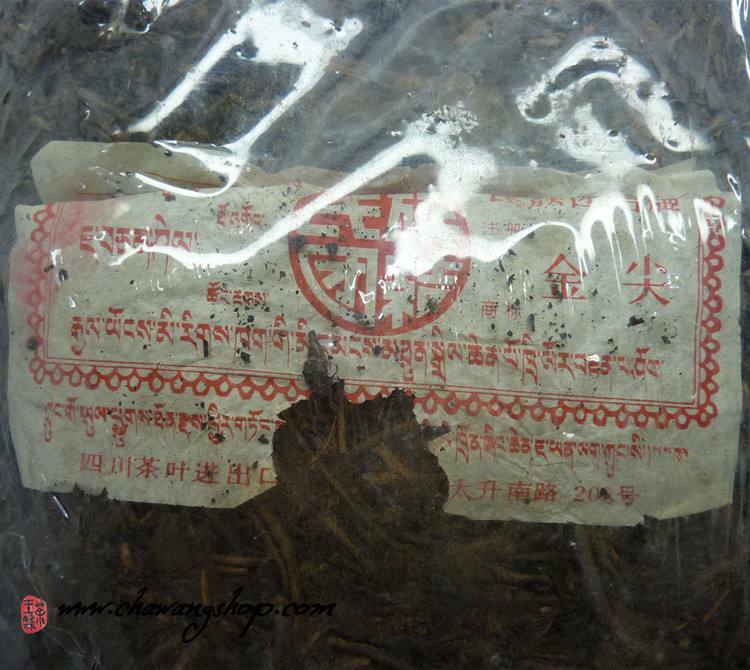 Aged tibetan brick is one of the treasures in dark tea world. Now dark teas are very hot in China market, so many aged teas flow from the southwest market back to shop and factories. Then they could repack and resell the tea for a much higher price. 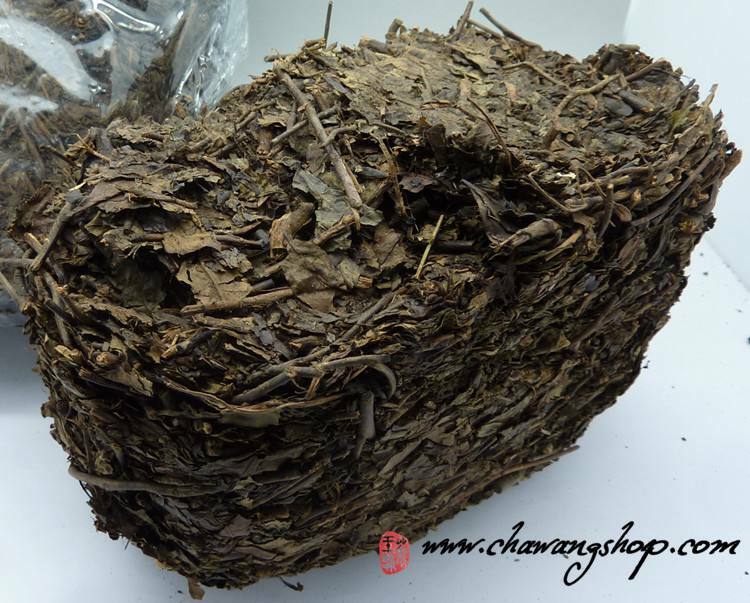 We are happy to offer this perfect storage and well mature tea with fair price. Brick tea is necessary part of food for minority nationality in China. .
Jin Jian is kind of tibetan brick. Jin Jian have more sticks than Kang Zhuan. This brick is traditional product for Tibet. Big bamboo basket have 30+kg and inside 6 smaller bamboo baksets with big bricks. Outside on the basket was Yak skin.This tea is sweet and smooth with pleasant aged taste. Tea soup have clean and sparkish color.